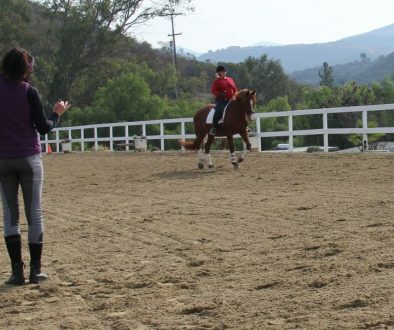 In order to become a better rider, you need to spend time focusing on your own body. 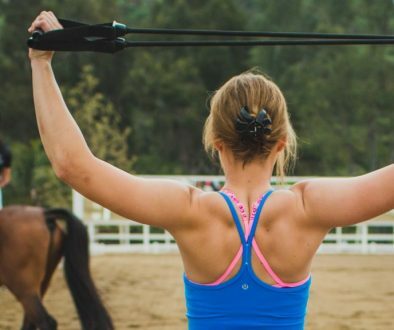 These exercises will help you educate your mind and body to find your center, in order to improve your balance and communication with the horse. Grab a belt or rope. Hold the belt/rope behind the arch of the lower back. Bring the belt behind head. Repeat for 5 inhales, 5 exhales. Inhale – Big deep breath. Stand straight up with arms raised overhead. Step right foot out to side. Toe on extended foot pointed. Reach up and bend to right. Stay here for 3 deep breathes. Repeat the same thing to the left. Then drop the belt or rope. 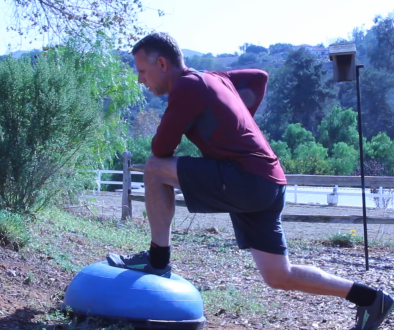 Balance on one leg, placing right foot on the side of calf. Stay here until balance has settled. Raise arms up into the Y position. Lower right foot down, shoulder width apart. Place left foot next to the right calf. Lower foot to ground, at the same time hands come to prayer position. Inhale: Raise the toes off of the ground. Exhale: Lower toes to ground.